My regular readers may recall my previous post on warming up. Whether you’ve read it or not, I’ll not be repeating myself, except to remind you of the importance of warming up before you launch into your practice session. It makes no difference what level of playing you’ve achieved – warming up is about being kind to your body and ensuring healthy playing habits. The following exercises were devised for some of my students whose practising habits needed improvement. The students in question are at very different stages in their technical development, but the exercises have made a noticeable difference to all of them. For anyone who is either unconvinced of the importance of warming up, or uncertain of how to, these exercises are for you. What you will come to realise is that not only do they make a difference to the comfort and success of each practice session; they make a difference to your overall progress. No matter where you are in your technical and musical journey, you will always benefit from revisiting basic technical cornerstones: bow control, string crossing, left hand stability, and agility. If you’re new to doing more than a cursory scale or two to warm up, try these and keep a diary to monitor the difference they make. Not over a few days or a week, but over several months or a year. At least two of the following warm-ups (one for left hand, one for bow) should be done at the start of every practice session. Rotate them to ensure that all are covered. Bow hold: always check before you start. Relaxed, soft hand; no pressing with the thumb; use the WHOLE arm from shoulder blade to fingertip. On the string: 90˚ angle between the string and the bow AT ALL TIMES; always halfway between the bridge and the fingerboard. Don’t change the speed or weight while bowing – keep the sound as EVEN as possible. Do you like the sound? If not, why not? Always aim to make the very best sound you can. Keep the left hand in exactly the same position you would if you were playing in first position – fingers curved and spaced away from each other; thumb RELAXED and only touching the neck. Keep the thumb touching the neck when the finger pulls away from the string – the left hand must remain stable and in the same place throughout the exercise. Keep the sound of each pizzicato even and clean; avoid bumping next-door strings. Keep the tempo very stable. If 120 is too fast, try at a slower speed and gradually work your way up to 120. Use the whole bow for minims. Use half the bow for crotchets. Practise the crotchet exercise in the LOWE HALF of the bow and the UPPER HALF of the bow. Use around a quarter of the bow for the quavers and play towards the MIDDLE of the bow. Adjust the bow when crossing strings so that you always maintain a 90˚ angle. Turn your whole upper body around from the hips to get to the A string. DON’T lift the right shoulder. iv. Keeping your shoulder relaxed and down and your fingers curved with the tips on the table, slowly lift your hand and arm so that you can feel the weight of your arm being transferred into the fleshy tips of your first, second, third and fourth fingers. Your thumb should be relaxed and gently touching the table. v. Transfer the weight of your arm from one finger to the next beginning with the first finger and finishing with the fourth finger. vii. Repeat the exercise several times; imagining the cello string being trapped underneath the fingers each time the arm is raised. Maintain a true cello posture throughout the exercise: sit tall, keep your head on top of your body, and keep shoulders completely relaxed. Left hand fingers must remain curved and FIRM but NOT STIFF – imagine holding a raw egg in your hand. Keep your feet flat on the floor underneath your knees. Do not pull your heels off the floor, or your feet underneath the chair. I’m very excited to announce that a new cello album and method which I was approached to write and arrange last year is now in print and will be released on 31 March 2012. The book is called Restart Cello, and is part of an instrumental series created by Wise Publications (part of the Music Sales Group) aimed at adults returning to their chosen instrument after a break of several years. As a teacher who has always welcomed and enjoyed teaching adult learners, I am passionate about developing teaching methods that are better suited to older novice and intermediate players, since most methods at this level are traditionally aimed at children. As it is, there is somewhat of a shortage of cello methods better suited to older players. Those who took lessons during their childhood are always faced with an additional challenge: they know what they were previously capable of and often feel frustrated with no longer being able to play to the same standard. The Restart method takes into account that those using it are not complete beginners. They will almost certainly progress more rapidly than most beginners, and need to feel that they are making music from as early on as possible. Essentially, the book is a compilation of twelve specially selected and arranged pieces ordered from easiest to most challenging. Each piece is preceded by notes and exercises that carefully take into account the aspects of technique that need to be revisited when returning to the cello after a long break. To further enhance the music-making experience, there is an accompanying CD with beautiful renditions of each piece and accompaniments for the student to play along with. The chosen pieces cover a variety of styles and genres, which I hope players will find fun and enriching! In the same way that a vigorous exercise session needs to be followed with cooling down and stretching, the same goes for a practice session – especially a demanding one. Cooling down and stretching are just as important as warming up for injury prevention. Where the function of warming up is to prepare the body and mind for a strenuous practice session, Cooling down should gradually step down practice activity, returning your body to a pre-practice state. A gentle stretching routine after cooling down will also help your muscles to recover after intense activity, but over-stretching can have the opposite effect. At the end of your cool down session, which should take around ten minutes, stand up and stretch your arms above your head as you would just after waking up. Stretching is a fairly instinctive activity: you’ll know which muscles feel most in need of it. Generally the wrists, forearms, shoulders and neck benefit from gentle stretching movements. But as already mentioned, gentle is the keyword here. If you notice tension building in any of your muscles during your practice session, standing up to stretch and breathe deeply and slowly for a few minutes is a very good idea. While it is perfectly normal to experience tension or even aches and pains while working on demanding repertoire or new techniques, it should not be perceived as part of the technique but rather as a message from your body asking you to find a more efficient way of performing the task. Beware of entering into a “no-pain-no-gain” approach. You’ve heard me say it before and you’ll no doubt hear me say it again! Practice makes perfect? Well, that really depends on the quality of the practice sessions. We all know that without practice there is no progress – playing a musical instrument is a never-ending learning curve. But we also know how hugely frustrating it is when we’re putting in hours of hard work and feeling a distinct lack of progress, or perhaps even a sense of one step forward three steps back. If this is the case, the first thing you need to examine very closely is how you practise. It’s a sad fact that many teachers offer outstanding advice and wisdom in lessons but forget to teach their students how to practise. For some students there is little need to focus on the art of practising, but for most of us it is not a natural skill. And the more time we spend doing something incorrectly, the harder it becomes to undo the damage. So what makes a good practice session? Quite simply, it is time spent reinforcing and ideally improving on a technique, a section of a study or even half a bar of a piece. How is this achieved? That really depends on you as an individual and how you learn best. But fortunately there a few constant rules that apply to everyone regardless of skill level or personality type. You wouldn’t start any kind of physical exercise or sports session without warming up, so why should your cello practice session be any different? Just because you’re spending the session sitting down doesn’t mean you wont be engaging in intense physical activity. Those new to cello playing may not be doing anything acrobatic on the instrument just yet, but they will be using muscle groups in ways that they are not accustomed to. More advanced players find themselves performing complex physical tasks which depend on the muscles being warm. You’re just as likely to injure yourself by launching into complicated, blindingly fast scale and arpeggio exercises as you engaging in any intense physical activity such as running or dancing without warming your muscles up first. Balancing and breathing exercises are an excellent way to get your body in the ideal state for playing. 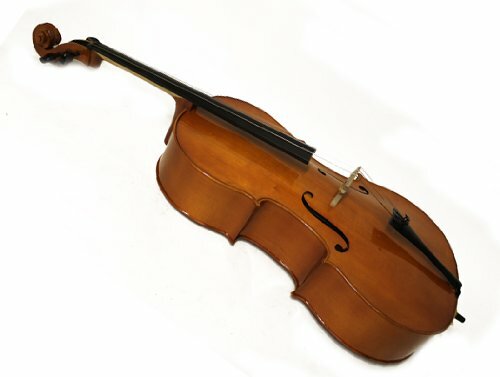 As cellists we easily forget the importance of regular deep breathing when we play and all too often unwittingly hold our breath when we’re wrestling with difficult passages or new techniques. Soon the shoulders become tight and hunched, and nothing good can come of that. Breathing exercises for singers are perfect and easily found all over the Net. Combining slow controlled breathing with simple balancing exercises is a great way to focus on posture and finding our centre of gravity, without which all playing is severely limited. When I say simple, I mean simple. Don’t feel that you need to consult advanced pilates, yoga or martial art manuals. Standing on one leg for a few seconds, then switching legs and repeating the exercise attempting to increase the time spent balancing on each leg. Having a mirror in front of you will help you to ensure that you are standing tall, keeping your shoulders relaxed and square, and your head on top of your spine (as opposed to inclined or slightly in front of your spine). You can also step things up a little by gently swinging your arms to and fro, ensuring that they move freely with no restriction in any of the joints. 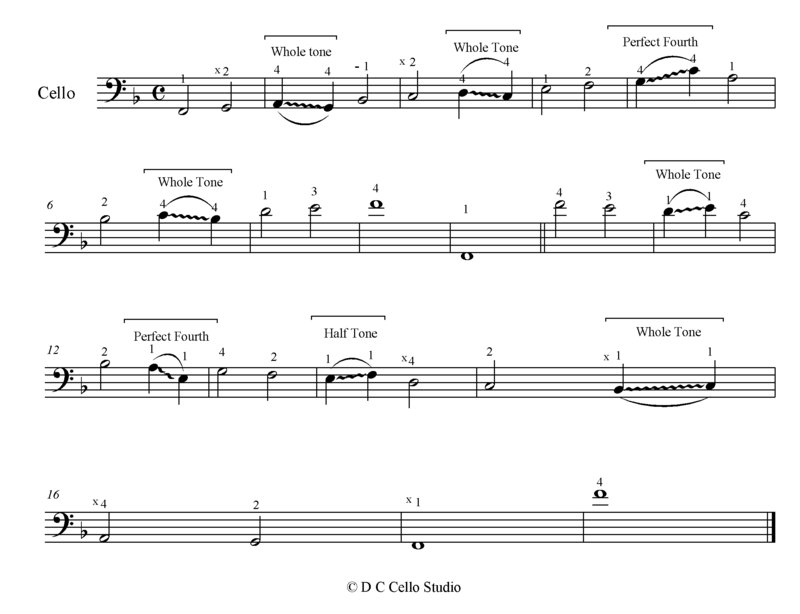 Warms-ups on the cello should engage both left and right hand, but not necessarily at the same time. It is perfectly acceptable to begin with bow warm-ups on open strings, or bow exercises without the cello itself (a fine example of this is on the very first page of Christopher Bunting’s Portfolio of Cello Exercises Book 1). Using a metronome to time bow strokes and maintain discipline is something I can’t recommend enough. Not only is it an important means of keeping your exercises precise, it also helps to develop a keen sense of timing and speed in your bow technique, which will make all the difference in your search for a beautiful and artistic sound. Again, I refer you to the first page of Bunting’s Portfolio Book 1: the bowing regime. I’ve had a job and a half convincing my students to make this dry, seemingly dull approach to bowing part of their daily warm-ups. But those who have succumbed to my endless nagging have come back beaming, especially once they have been doing it for weeks or more and begun to feel and hear the difference it makes to their playing. It makes sense to find warm-up exercises that serve more purpose than simply waking up the muscles and getting the blood flowing to the extremities. I guarantee that the bowing regime does just that, and I strongly recommend reading Bunting’s Essay on the Craft of ‘Cello-Playing for a detailed description on approaching the exercises. Of course the left hand needs warming up just as much as the bow arm does, and should also be given a gentle wake up rather than overly demanding exercises. I find the trilling exercises (number 1) in Feuillard’s Daily Exercises for Cello to do the job very nicely. For the purpose of warming up I ignore the fast variations and stick to the quaver exercises, which I do on all strings and in all of the neck positions. Again, the metronome is crucial as a means of keeping the finger work steady and balanced, preventing any urge to speed up. 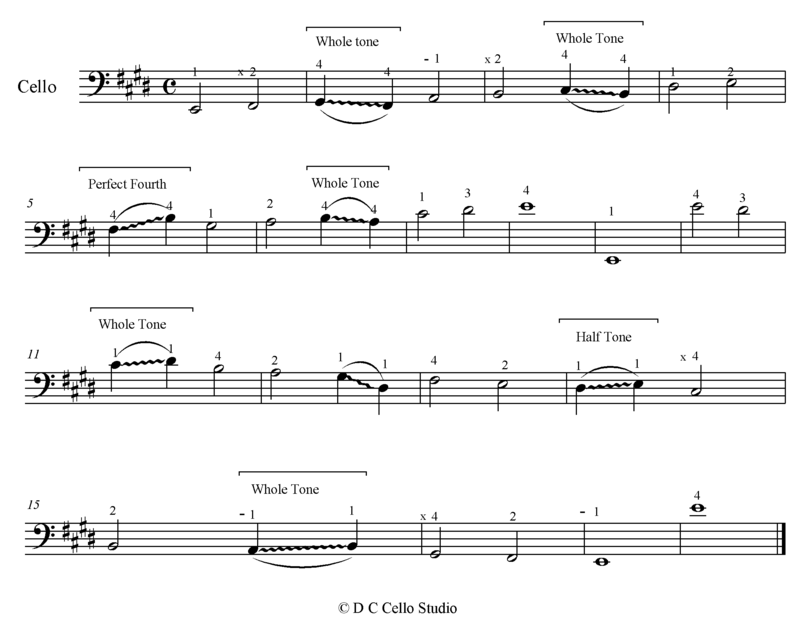 I find it equally beneficial replacing trills with slow timed vibrato on each finger, each string, and in each position – either working through the neck positions or through the mid-positions (5th to 7th). Not only should your warm-up session perform the obvious task of warming the muscles and getting you physically prepared for a good practice session, it should relax you physically and mentally, helping you to focus your mind on what you wish to accomplish in the following 40 – 60 minutes. The amount of time you spend warming up depends on how long you plan to practise for, and how demanding your practice material is. I recommend a minimum of ten minutes for your first hour long session of the day; and at least five minutes for each subsequent session. An essential read for any serious cellist or cello teacher. Christopher Bunting (1924 – 2005) was a world-renowned cellist and pedagogue whose methods and compositions have become an integral part of the cello-verse. He singled himself out as a teacher with his deeply intellectual and holistic approach to the learning process, stressing the importance of the psychological influence over the physical act of playing in each individual. Essay on the Craft of ‘Cello-Playing goes into great detail on the psychology of playing, offering a great deal of food for thought and encouraging each cellist to closely examine his or her emotional and intellectual workings in order to assess why they encounter certain (well-known) physical hurdles on the instrument, and work out how to overcome them. Bunting clearly didn’t believe in short-cuts, and his playing was certainly a testament to this fact. Described by the Daily Telegraph as “a Master” and Die Welt as having “highly developed musical comprehension, prodigious technique and outstanding artistry”, we are left in no doubt as to what incredibly good hands we’re in from the first word to the last. Christopher Bunting was by many accounts an intense and inspiring teachr with a fertile musical imagination and a dry sense of humour, all of which is evident and comes across rather beautifully in his writing. Expect silly puns at unexpected moments along with fabulous analogies and comparisons that put difficult concepts into sharp perspective. Essay on the Craft of ‘Cello-Playing is more than a treatise on playing the cello, and also contains imaginative and hugely helpful exercises (many of which feature in the much more condensed Portfolio of Cello Exercises) with detailed explanations on what each is for, and how best to approach it. Not an easy read, being fairly dense and packed with a remarkable amount of information and thought, but I can’t recommend it enough. Persevere if you find it heavy-going at first!